Good to Great (2001) presents the findings of a five-year study by the author and his research team. The team identified public companies that had achieved enduring success after years of mediocre performance and isolated the factors which differentiated those companies from their lackluster competitors. These factors have been distilled into key concepts regarding leadership, culture and strategic management. 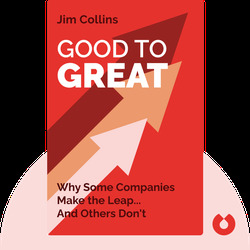 Jim Collins is an author, lecturer and consultant, who among other things, has taught at the Stanford University Graduate School of Business and is a frequent contributor to Fortune, BusinessWeek and Harvard Business Review. His previous book Built to Last sold over 4 million copies. 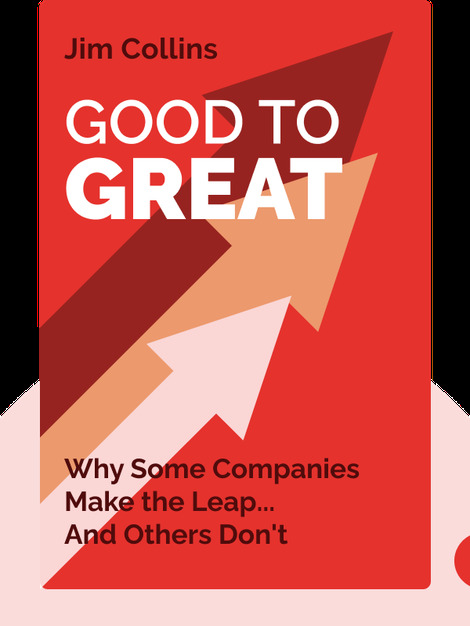 The author was inspired to write Good to Great when a business acquaintance pointed out that his previous book examined only how great companies stay great, not how they can become that way in the first place.